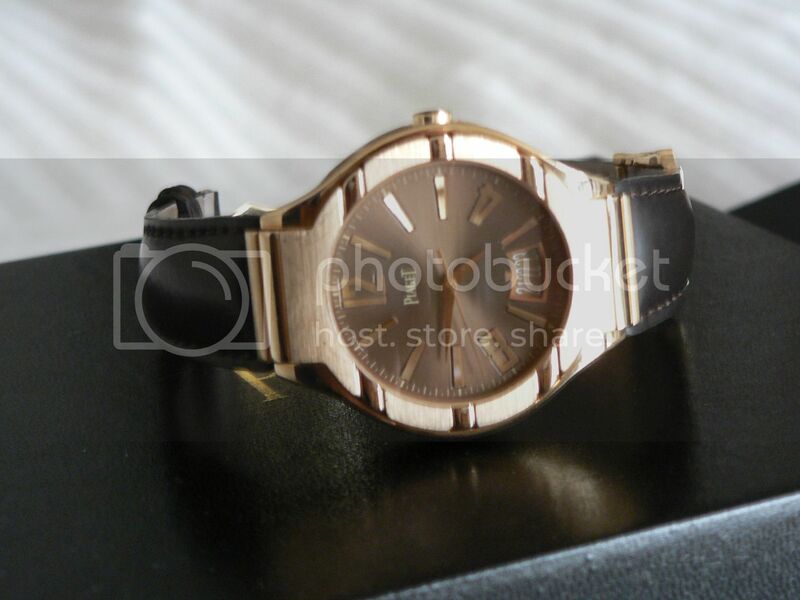 TimeZone : TZ Showcase » FS: Piaget Polo Forty five 18kt Rose Gold Automatic Date - REDUCED! 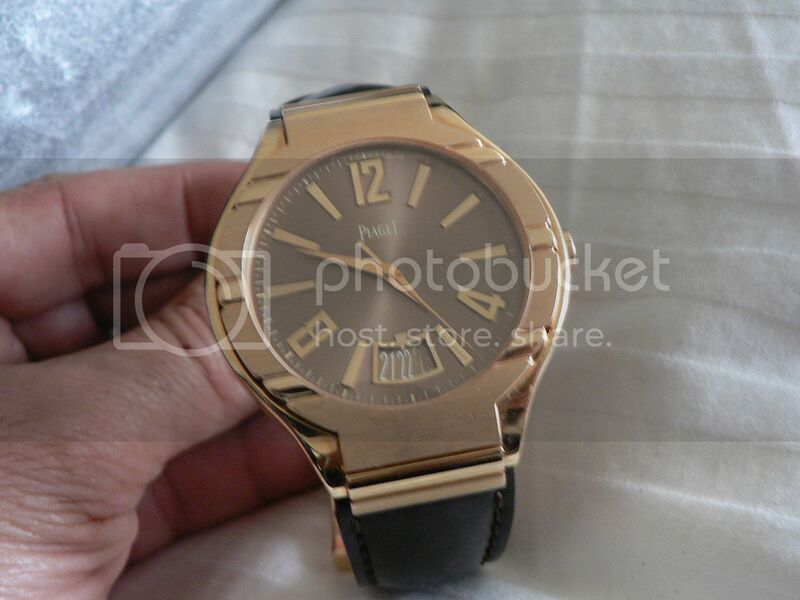 For sale is my Piaget Polo Forty five in rose gold, excellent to near mint condition 94%, worn sparingly.Some stickers are still on the watch. I am the first owner. The watch was purchased brand new from Tourneau. 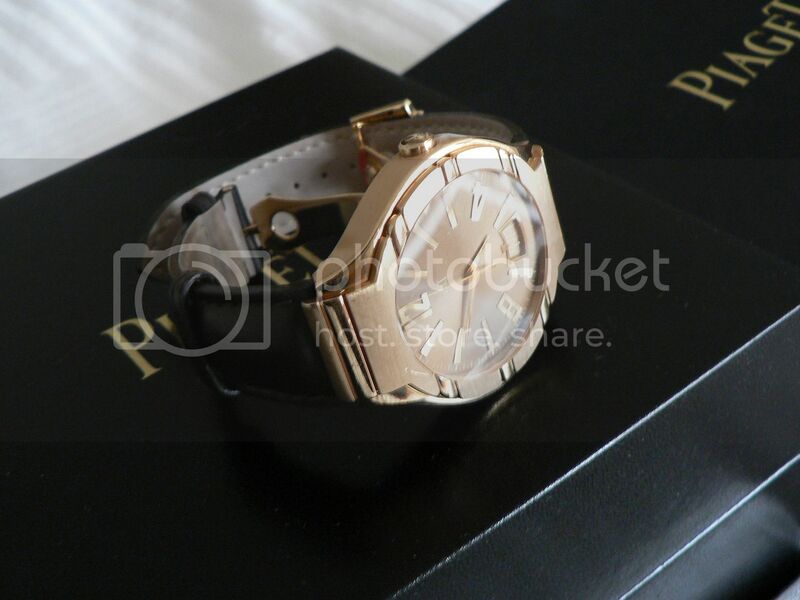 Comes with Piaget box, no manual. 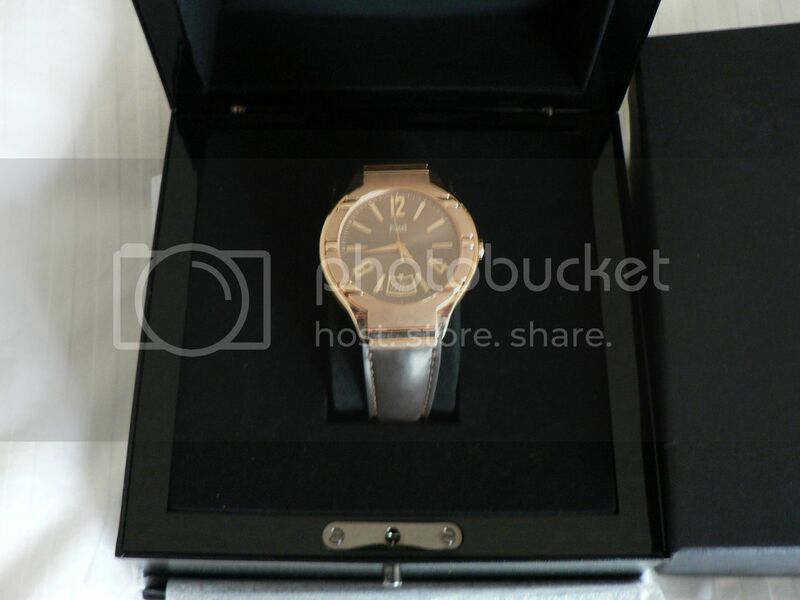 18 carat rose gold case with a dark brown rubberized leather strap. Functions: date, hour, minute, second. 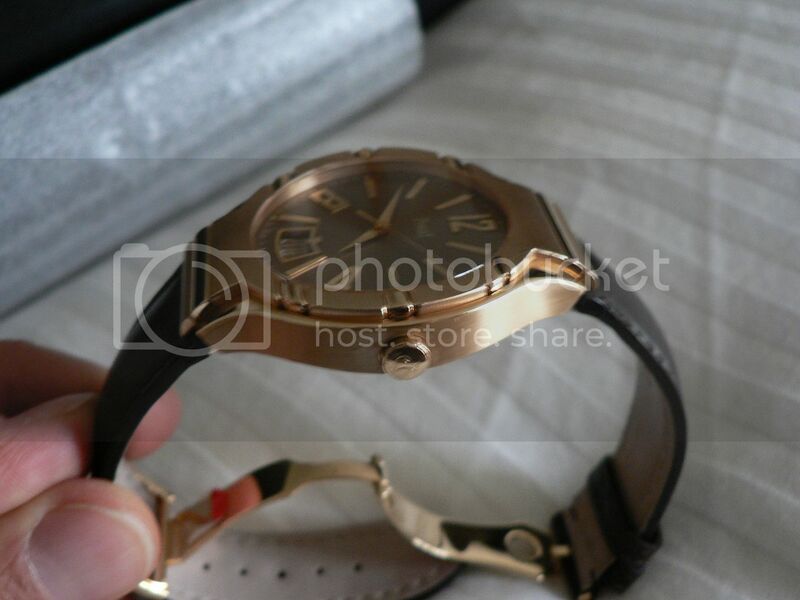 Beautiful brown dial with rose gold hands, index and Arabic numeral 12, 4, 8 hour markers. Date display at the 6 o'clock. 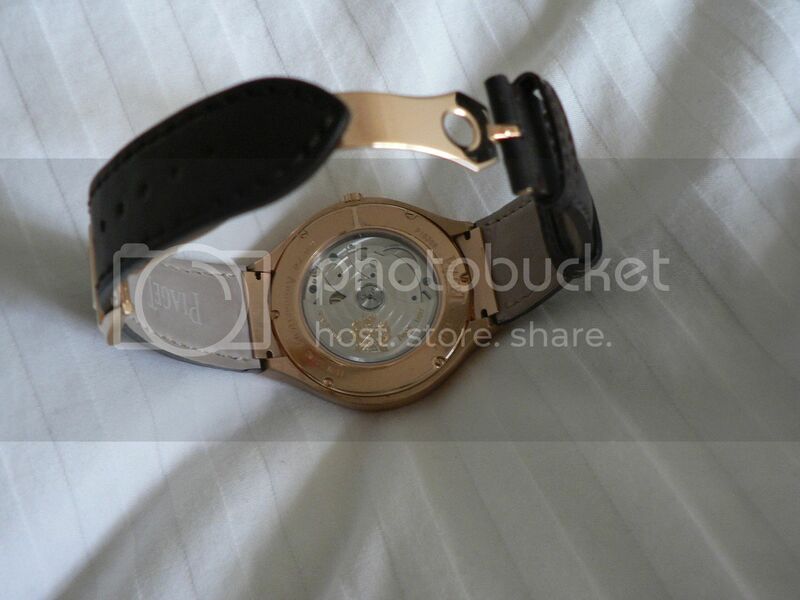 Piaget stunning 800P automatic movement with transparent sapphire case back. Scratch resistant sapphire crystal. Case diameter: 43 mm. Case thickness: 9.6 mm. Folding rose gold deployant clasp. Water resistant to 50 meters / 165 feet. MSRP $26,600, selling at $11,495 OBRO, Shipped & Insured. CONUS, Wire, Bank transfer, paypal plus fee, No trades please. Previous Topic: FS: Vintage Tudor Big Block "Albino"